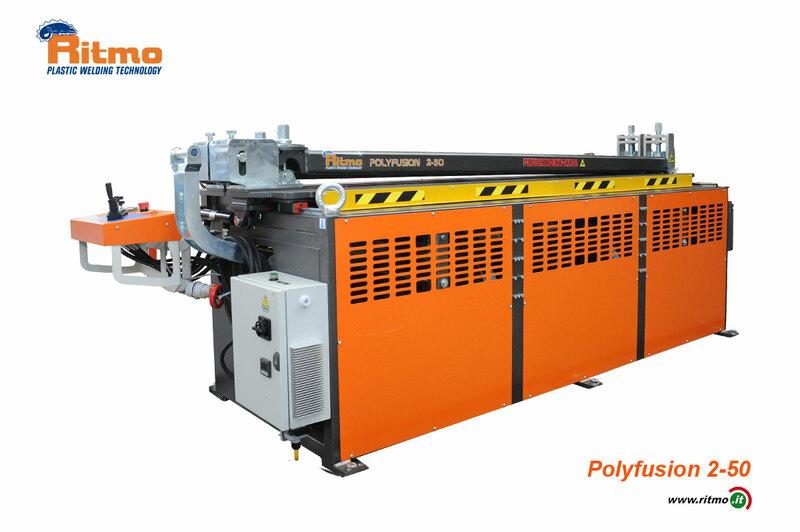 POLYFUSION 2-50 is a hydraulic welder for HDPE and PP sheets up to two meters wide and 3 mm to 50 mm thickness. The machine can also weld twin-wall sheets. 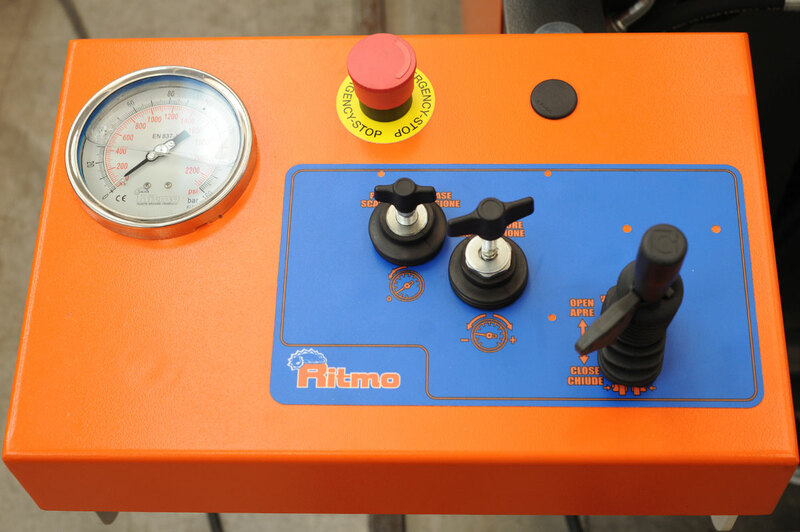 The welding cycle is handled by a control panel which commands the hydraulic gearcase; “Dual Pressure” welding is also feasible. 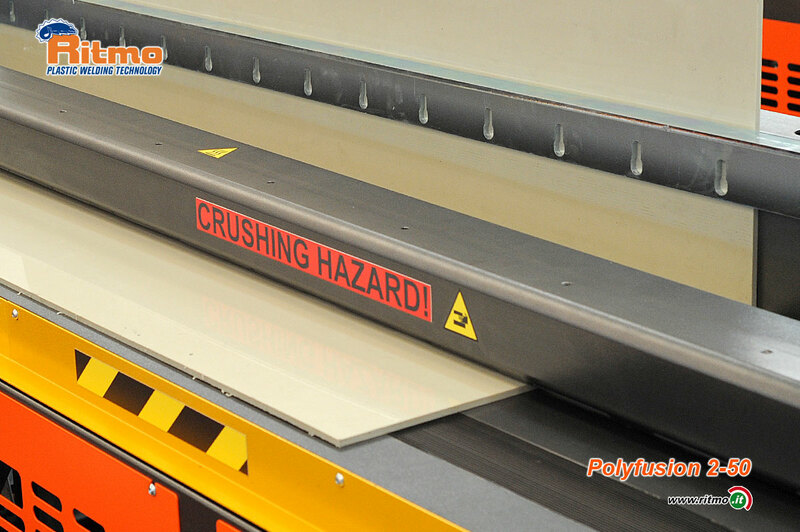 The sheets are fixed to the machine body by manual handwheels; the locking arm has an articulated joint that allows its opening and the easy extraction of the welded sheets. The welding machine has a small modulated sustaining frame to perform 90° weldings (Kit on request).